Large Throw/twin size size quilt. 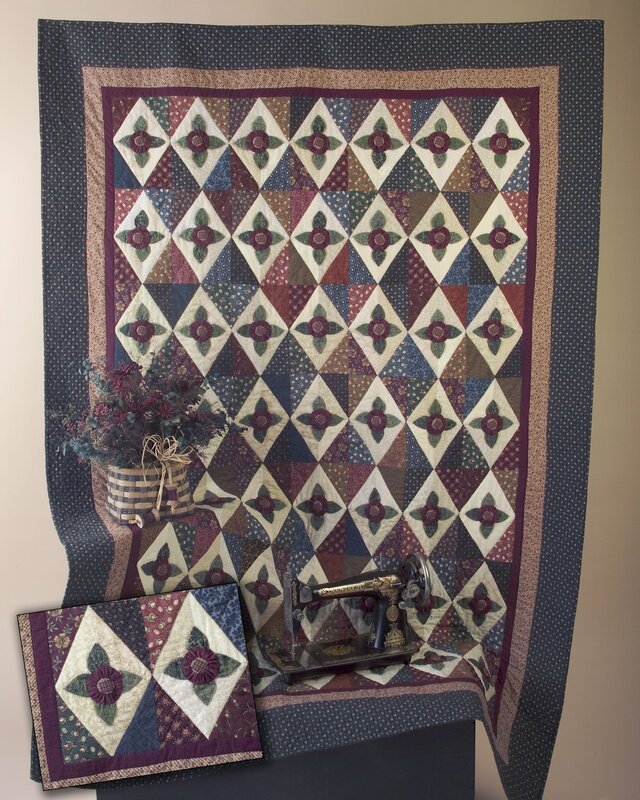 Using fat quarters of assorted greens, dark prints & cream or tan fabrics Attic Roses features dozens of yo-yo roses framed by the diamonds of a pieced background. Available as a twin-size quilt, this applique design is sure to become a family favorite.